As I gathered together my recent beauty purchases I realised that they were for the most part under £6 which is rather fabulous - although of course when you add them all up it's not so budget friendly but we'll overlook that for now! Continuing with my current obsession with Aldi I threw their Activ Roll On Deodorant into my basket on a recent shop having seen reviews where people spoke highly of it and for 59p I thought it was an experiment I could afford. Thus far I'm pretty impressed. Whilst I do love Sure Maximum Protection it isn't the cheapest of products and I'm sure half is lost gathering in the holes of the lid no matter how clean I try to keep it. Whilst I don't think Aldi's will replace regular use of Sure it'll mix things up and add to Sure's longevity. Sticking with the Aldi products, those of you who are regular Aldi shoppers will be familiar with their Special Buys, products that are released on either a Thursday or Sunday 'until stocks last'. They do make reappearances and range from the sublime to the ridiculous and their beauty and skincare ranges often cause bulk buying and stock piling from fans. 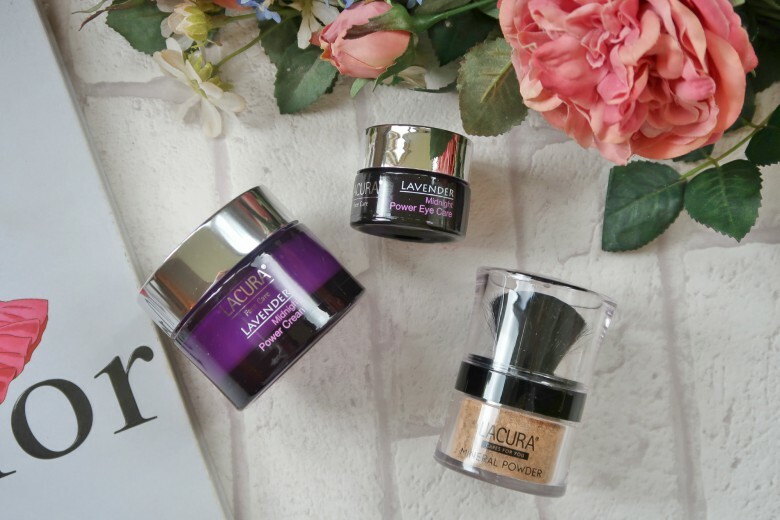 I really didn't need to pick up Lacura Mineral Powder and Aldi really isn't helping my streamlining of my make up collection but I was swept up in the moment. Having enjoyed using my Bare Minerals Powder Foundation this summer I thought, with a trip to the hot and humid Orlando next month perhaps this could be another 'dupe' (is Aldi becoming the new Make Up Revolution I ask myself). First impressions were the packaging isn't ideal for the product. The lid is too deep to allow the brush easily sweep up the product and so I found myself tipping powder into the lid and back into the 'sifter' side to apply. The brush is also dreadful. I had heard mentioned that it shed and as I applied I thought I was doing ok until I went for a closer look and found a near on beard appearing. I'm currently on the fence with whether to put away till next Summer or admit defeat and clear space in my make up collection. I have been using the Caviar Night Cream from Aldi in between other products but I really don't enjoy it. Despite not being a fan of Lavendar I thought I'd give their new version a try and it's another thumbs up from. Likewise the eye cream whilst not a replacement for my favoured Kiehls Midnight Recovery Eye helps avoid using either too quickly and cause a dent in the bank balance when it's time to replace. The Aldi offerings are both priced at £3.99, the cost of which can easily be hidden in my weekly shop. The mascara's were another product everyone was raving about in the forums so I again decided to get involved. I have tried a mascara from Aldi previously and wasn't too impressed but these both had different brushes, the fuller type I like and were screaming volume. For £2.49 again it was worth trying them out. I have since tried both products and been most impressed on arriving to the office and proceeding with my usual check under the eyes in the lift to remove any transfer that there was none. This is unheard off. I do find the brushes a little too big that I get a lot of product on my lids, more so with the XXL Extreme Version and yet on my lashes there isn't so much. 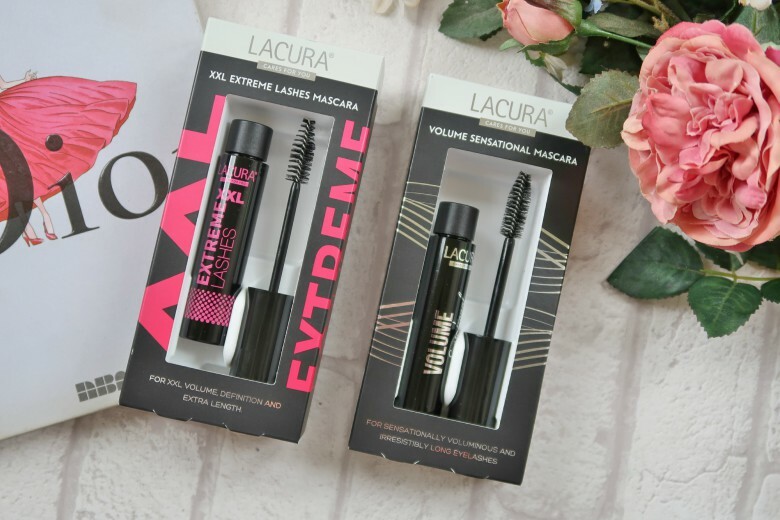 It's nicely defined and really does lengthen them but at the weekend I applied to one eye and the other with my L'Oreal Lash Paradise and the latter was certainly more evident and volumised although if you don't like that heavy look then you may indeed prefer Aldi's offering. I don't think I'd necessarily look to replace either of these or 'bulk buy' as many seem to do when they are re-released but they were both worth trying and are serving me well currently. 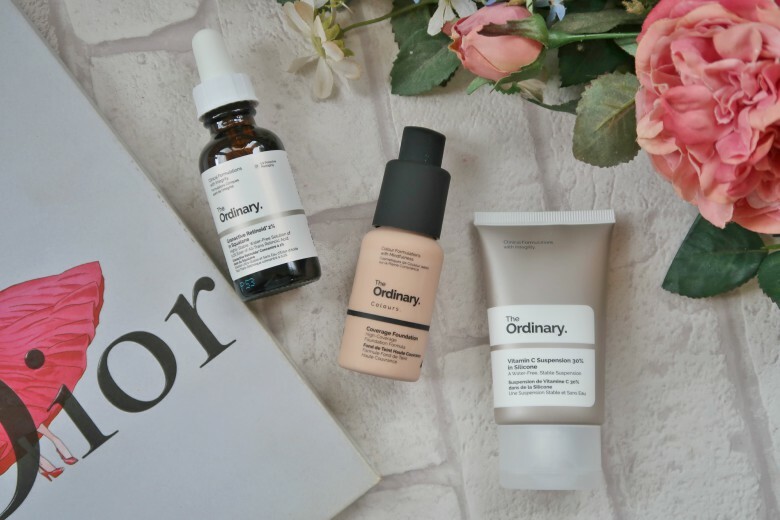 Finally I was holding off hitting publish on today's post as I waited to have sampled The Ordinary skincare items; as weeks have passed and I've still yet to dabble yet am loving the foundation I thought I'd hope that publishing my post would finally give me the kick I need to add them to my skincare regime. Starting with The Ordinary Coverage Foundation which I am loving and it's my go to foundation of choice at present. I wouldn't say it's the fullest coverage foundation I own but it balances the bridge between natural and full nicely for me. I do find that it suits me better when my skin is on the oiler side, if not gets better throughout the day as my natural oils escape so I'd be conscious if my skin type was the end of either. The packaging is fantastic and for its size and how frequently I'm using I expected it to be one of those products you think is a great price until you're replacing so frequently you should've invested in more expensive products but it's still going strong. 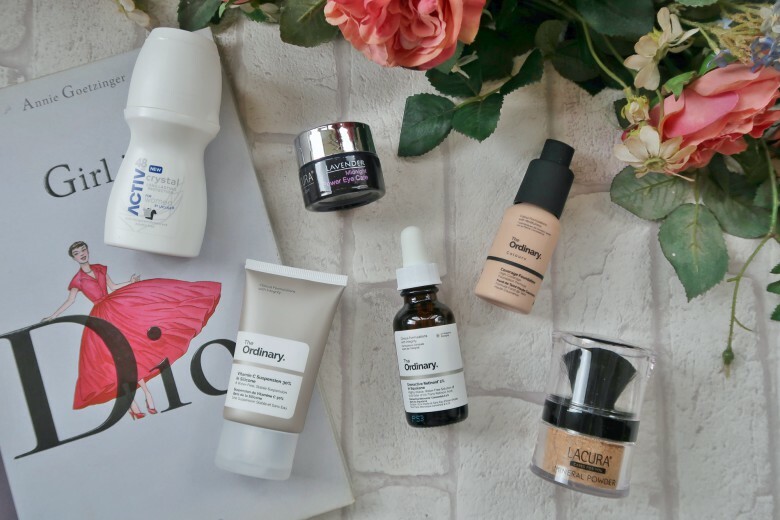 The Retinol and Vitamin C products I picked up completely consumed by the blog coverage until panic set in about how to use, ensuring SPF is worn and being wary of the side effects of retinol usage but I think I've done sufficient research to start adding them to my routine. What products have you been buying recently?